Newcastle set to battle Arsenal for teenage midfielder | The Transfer Tavern | Where football transfer rumours fly or die! We are all waiting for Newcastle United and Arsenal to start their transfer business here in the Football Transfer Tavern, with Lee Ryder of the Newcastle Chronicle reckoning the pair are set to battle it out for a highly rated teenager. Bastia’s Florian Thauvin has been attracting attention around Europe, with the Gunners the latest team to be credited with an interest. 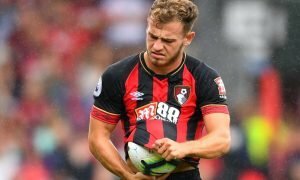 Newcastle have long been monitoring the 19-year-old’s progress, and were hoping his signing would give the Geordie fans something to cheer in what has been a difficult season and transfer window. 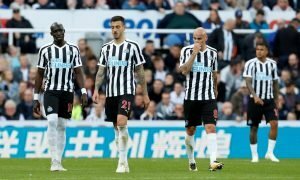 The Magpies have already lost Demba Ba and missed out on Loic Remy, whilst Hatem Ben Arfa and captain Fabio Coloccini have both been linked with moves away as reported in The Telegraph recently. Thauvin has made 20 appearances in Ligue 1 and scored, three goals. He has picked up three French Under-20 caps and is understood to be keen on a move to the Premier League. A bid of £1.5 million should be enough to secure his services, with Thauvin’s contract set to expire in June 2014. The question remains as to whether he will end up in London or the North East. Is this French starlet bound for the Premier League? Vote in our polls below.